For some added traditional style in your bathroom, choose this beautiful vanity. Its beige tan marble counter and white solid wood base are very easy on the eyes. Put a nice twist on your bathroom project with this classic piece from Wyndham Collection. 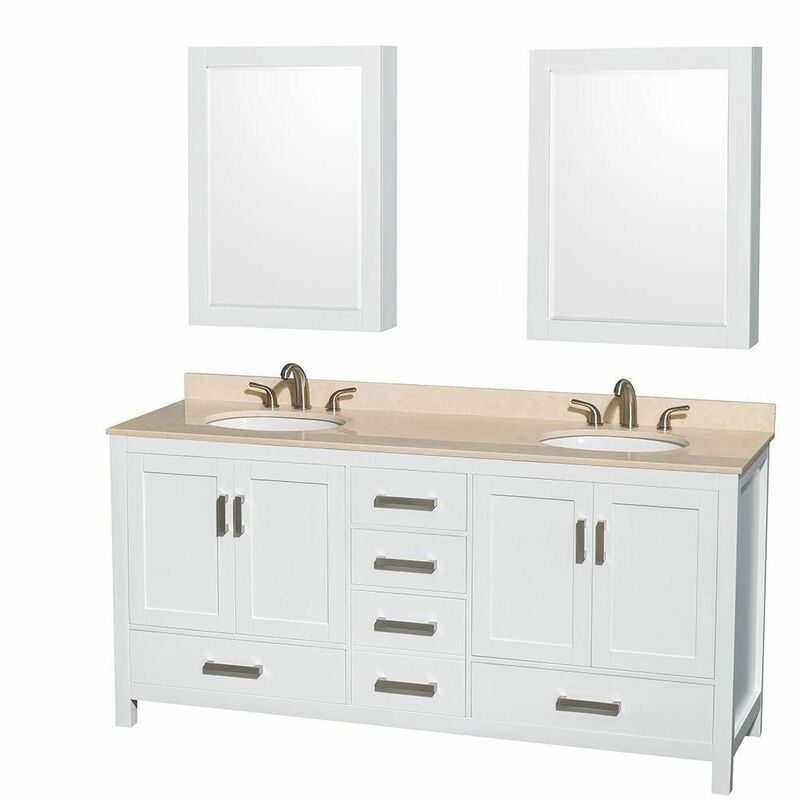 Sheffield 72-inch W 5-Drawer 4-Door Vanity in White With Marble Top in Beige Tan, Double Basins For some added traditional style in your bathroom, choose this beautiful vanity. Its beige tan marble counter and white solid wood base are very easy on the eyes. Put a nice twist on your bathroom project with this classic piece from Wyndham Collection. Rated 4 out of 5 by David from The vanity was very nice, but the medicine cabinets need... The vanity was very nice, but the medicine cabinets need to be packed better. The mirror on one cabinet was detached.